Shortly before I left school, I was asked by the Careers Officer what exactly I wanted to do for a living. I had no idea whatsoever. No plan to go to University. I was just an ordinary 15-year-old boy who came from a normal working-class family and the only advice I ever remember getting from my dad was that,because I was “an Oakley”, that meant I could do whatever I wanted and I would be good at it.” So off I went, full of complacency, out into the big wide job-world. I quickly found out that perhaps he’d overstated slightly how easy things would be for me and he exaggerated just a tad just how much of an advantage it really was being “an Oakley”. Zero advantage in fact. I quickly found out that I wasn’t very adept as a sandwich-maker, I had limited talent as an ice cream seller, was useless as a kitchen porter, bored witless as an electrical component store-picker and I was completely disenchanted at being a heating and ventilation fitter’s mate. I was perhaps a little more creative as an estimator of hair dryer components,but it was still far too dull for me. In fact, I found that with every job I tried (and there were many) during the early days of my career, I was either disenchanted, disinterested, or completely useless. I decided I needed to have a rethink and to improve my education and skill-set to make me more employable and this meant me going to day-release and evening classes at college to study more and learn more about going into business. The 3-year Business Studies course I enrolled in covered the basics in Accounting, Statistics, Economics and Commercial Law and I’m sure it also helped to give me the confidence later to seek a more ambitious and challenging field of work. I later realised having a confident personality at work can accelerate your development and take you a very long way. 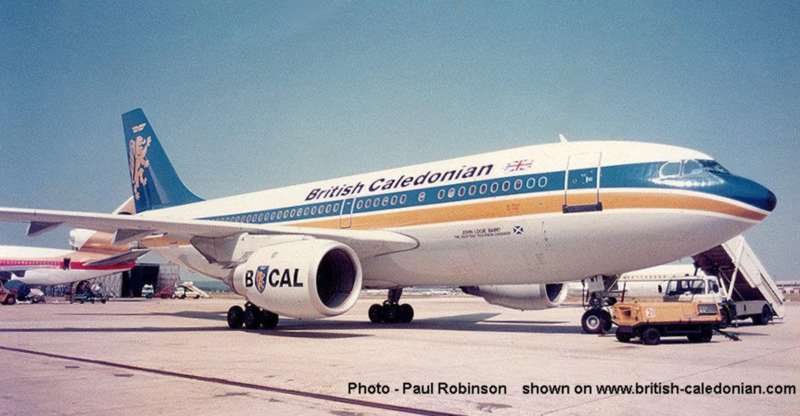 Around that time, a good friend (who I later employed in Malton and am still close friends with today) from school told me there was a vacancy, as a buyer, at the company where he worked, which I knew then simply as BCal. Little did he or I know it back then but his casual suggestion down in the pub changed the whole direction of my career and eventually led me into the business world in which I would become impassioned and successful. I went to the interview, somehow blagged my way through it and got lucky; they offered me the job! From day one, it was a strange new world to me,working for an airline; everything seemed to have a 3-letter abbreviation such as AOG, IOR, FOB, LGW, LAX, GRN, etc. It was like learning another language. At first it was a struggle but then the airline industry soon began to fascinate and captivate me. For example, the time-scales of things were completely different to what I’d been used to. I’d been a slouchy, skiving, odd-jobber working for comparatively dull and sluggish companies, where the word “urgent”meant that something might be needed this week, or perhaps this month, to suddenly working for a relatively small but vibrant international airline called British Caledonian Airways, where every day it literally felt like we were flying by the seat of our pants! AOG meant there was an Aircraft On the Ground, sometimes full of passengers all waiting for me to get the vital aircraft part needed to take off. I usually had to find the part quickly and sometimes even arranged an aircraft taxi to bring the part over from say Brussels within the hour, so that the Boeing 707, 747 or Airbus could take off as soon as possible, which would mean saving the huge cost of a delayed or cancelled flight, airport ramp parking fees, leasing replacement aircraft, etc. This job was demanding and so much more exciting than any I’d previously done. I quickly learned the skills of persuasion to get suppliers to react quickly and I thrived under the pressure. In fact, I’m sure that working in those frantic but magical days, alongside many experienced, dedicated and talented people, gave me the passion I developed for my field of work today; innovating and helping to solve problems for Malton’s customers.